There’s a battle brewing around how to get your stuff to your door, and no one seems to be noticing. No, I’m not talking about UPS v DHL v FedEx. I’m talking big shipping. 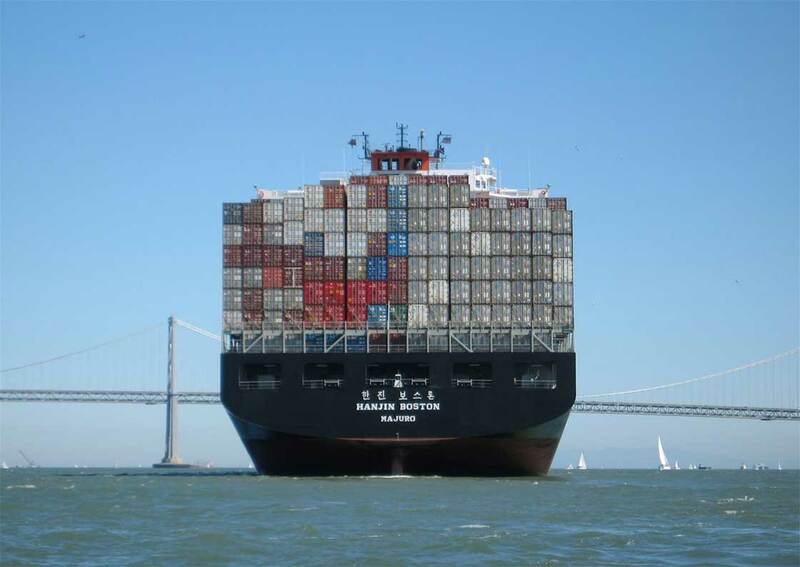 The shipping industry, responsible for those supermassive ocean cruising container ships, capable of carrying almost $500 million worth of goods from continent to continent, is in a tough spot. Plagued by overcapacity, low worldwide demand following the global recession, a highly competitive business environment dominated by a few giants, and a rapidly consolidating industry is not what one would call firm footing. The industry showed signs of weariness, or desperation, this summer as Maersk, a $34 billion shipping services company, agreed to sell their oil unit in a $7.45 billion to Total SA, one of the seven largest integrated oil and gas companies in the world. Under the terms of the deal, A.P. Moller Maersk will get $4.95 billion in Total shares and Total will underwrite $2.5 billion of Maersk Oil’s debt. But what does this wave of consolidations and spinning off of business units mean for the few enterprises still slinging goods across the World’s oceans? In an interview with the Financial Times, Søren Skou, CEO of A.P. Møller Mærsk said that “the consolidation trend in the past 24 months that has seen eight of the top 20 container shipping groups be acquired or go bankrupt would continue” in the upcoming ten years. The industry has all the dog ears of being ripe for disruption. Shipping is controlled by a handful of massive companies, each of which is operating in nearly identical sectors and serving similar customers. One could assert they’ve grown complacent from their past successes, as evidenced by the 2015 industry-wide calamity that saw far more container ships being built than there was demand for their services. And the business model might just be out of date, in the demand-economy we live in today; individuals and businesses are seeking nimbler options to get their work done—and an X ton container ship is far from nimble. Companies like Natilus Inc., a drone company based out of California’s famed innovation hub, looks to be the first company eager to go toe-to-toe with the big seven shipping companies, creating drones up to 140-feet long with a 200,000-pound cargo capacity capable of flying to China and back faster, cheaper, and more efficiently than a traditional cargo ship. There is some innovation happening in the big seven, however; Maersk, for example, earlier this year experimented with wind power to propel their massive container ships. And like seemingly everywhere else in business, autonomous vehicles might be coming to big shipping in the not-so-distant future. Despite wind-powered ships, which might be a good thing for an industry whose persistent black eye from being one of the biggest contributors of Co2 emissions in the world isn’t getting better, and autonomous ships making the seas safer and more efficient, these iterative innovations do not address the business model, their products, or their services. The question remains, what is, or who is, next for big shipping?